Go big or go home. Make a stunning entrance with this exceptional statement ring. Hand carved and created using the ‘lost wax’ method, the extraordinary craftsmanship sets it in a class of its own. Currently, Douglas Elliott’s favorite pieces from his early 2000s collection, there are very few contemporary jewelry pieces crafted in the past 30 years that are anywhere near the quality of this ring. 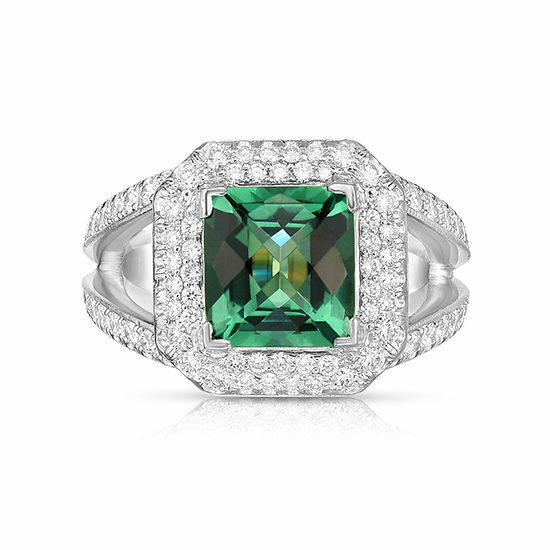 The split shank design features a double diamond halo around the center Green Quartz. This piece contains 132 Diamonds, each set into the solid platinum by a master stone setter. 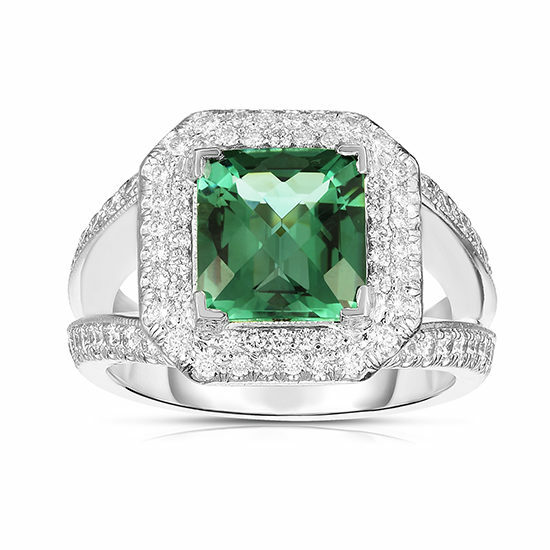 The Green Quartz is a created semi-precious gemstone that was cut to be in exact proportion to this remarkable setting. The center stone can be customized with any precious or semi-precious gem of your choosing. This setting is the last of its kind – once it is sold another will never be made again. Marisa Perry invites you to call 212-566-8977 or write [email protected] to discuss customization options for this ring.